December Recap And January $100 Reader Appreciation Giveaway! Hello, my fine friends! 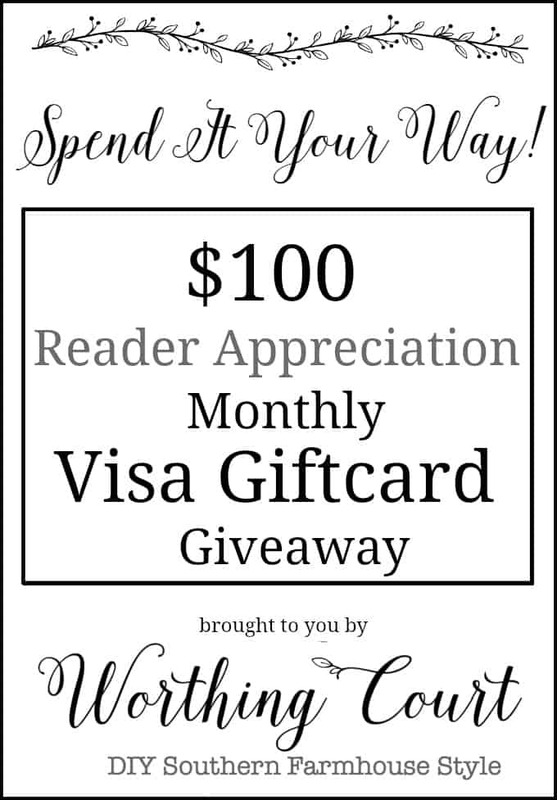 It’s time for another Reader Appreciation giveaway! This month, I’ll be giving away a $100 Visa Giftcard! Entry couldn’t be easier – simply leave a comment on ANY blog post during the month of January and you are automatically entered! More comments = more chances to win! 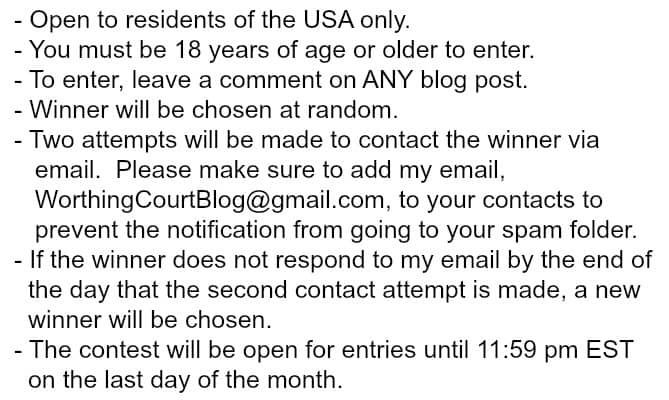 THE CONTEST WILL END ON JANUARY 31ST AT 11:59 PM EST. December was a crazy, busy, fun month! Let’s take a look back. I know that Christmas is over, but maybe some of these ideas will inspire you for next year! Simply click on the title above the image to read more of the post. HOMEMADE COFFEE CREAMER RECIPES – CHOCOLATE AND CARAMEL! Thank you, thank you for being such loyal Worthing Court readers! You guys are the BEST and I mean it from the bottom of my heart! No Suzy, you are the BEST! Your posts are always the best – am looking forward to what you do in the new year. All of your rooms are beautiful. I enjoy looking at it all. Looking forward to seeing more of your posts in the new year. Such beautiful rooms! Love the colors! So soothing, yet inspiring. I love your style, whether it’s color or combining styles, you are the one who talks to me. Can’t wait for the final reveal of the office ? Love your blog and your decorating ideas. I know from your blog and the ideas you put out here that you put your heart and hard work into revamping that home. Keep it coming, it’s fun to see all the great ideas! Your home is so charming! I always look forward to your posts! I love looking at your blog and never miss reading it. You have beautiful rooms! Love your style! Very inspiring. Love your style! There is a peacefulness about your rooms, that relaxes me. I enjoy your blog so much. The changes you made in your home office are great. Always look forward to your posts. I find there is always something that I take away from them that I can apply to my own home. Thanks for sharing. Have a blessed day. Everything is gorgeous! Thanks for the chance at the giveaway! Reading your blog gives me so many ideas to try in my home……it’s all good !! Happy New Year! Thank you as always, for the opportunity! Woohoo! I love your blog and all of your decorating ideas. Thanks for sharing and inspiring us! You may call it reader appreciation, but it is truly us ( your readers) who appreciate you! Thank You!! 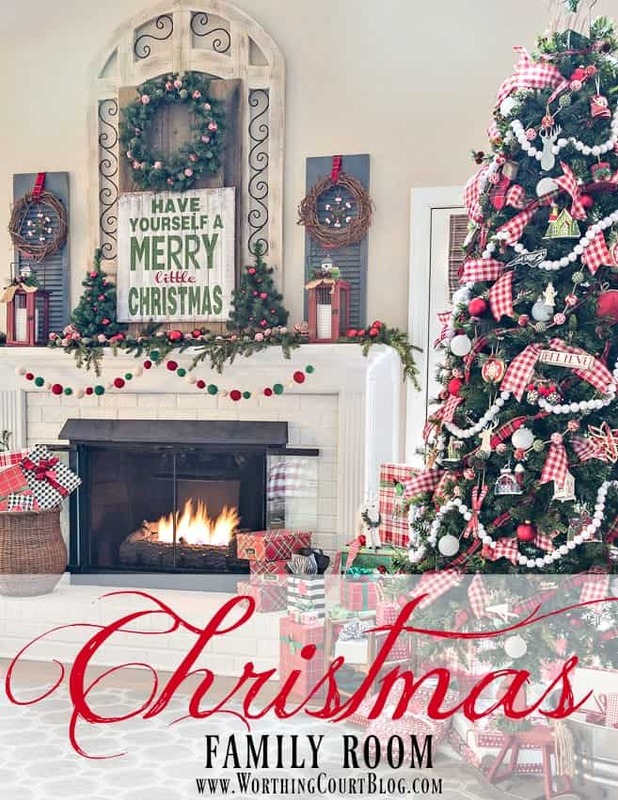 Like your decorating style and need suggestions for decorating after the Christmas holidays. Having recently discovered your blog I must say thank you for all the inspiration. I love seeing all the things you have done to your home, it is lovely. Blessings to you for a wonderful 2017. Oh that Red Velvet Cake!! Oh my. I enjoyed seeing the updates you did in your home. It looks great. Especially liked the info on the throws…I’m shopping for one! 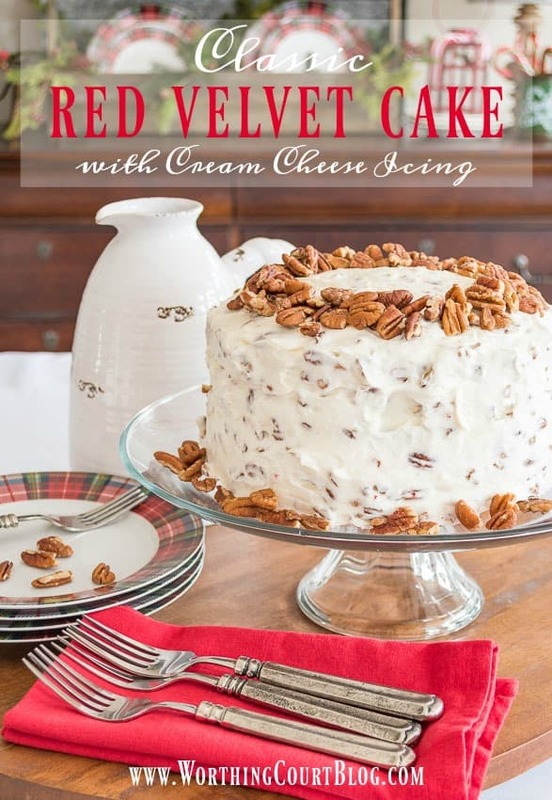 Your Classic Red Velvet Cake with Cream Cheese icing is making my mouth water! It looks absolutely delicious! Can’t wait to try for next family gathering! Thanks and God bless. I can’t wait to see what beautiful things you have to show us in the New Year. You truly inspire me!! Warm,cozy,inviting decorating ideas. Thanks for the giveaway. I love reading your blog. Your home is so lovely and you have such great ideas! 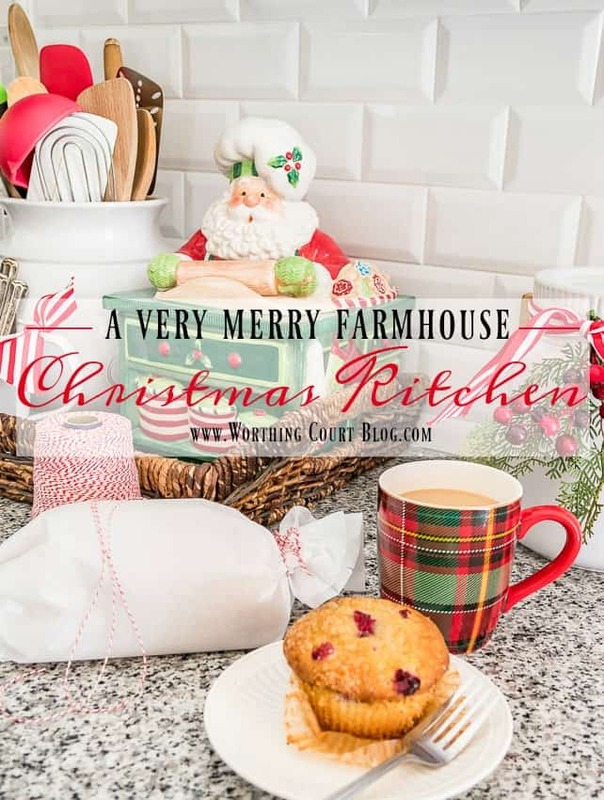 Love the post about your farmhouse Christmas kitchen. The decorations were perfect. Thanks for sharing your ideas. I really enjoy your blog! I so love your decorating style! I loved your Christmas decorations! They were so original. Your home and ideas are beautiful and inspiring! I love the texture and layering that makes your house a warm home. So fun wrapping up with a cozy throw and eating red velvet cake! YUM YUM… LOVE RED VELVET CAKE…. Thanks for all the holiday decorating ideas. My home was transformed this holiday as a result! Happy, healthy new year to you!! 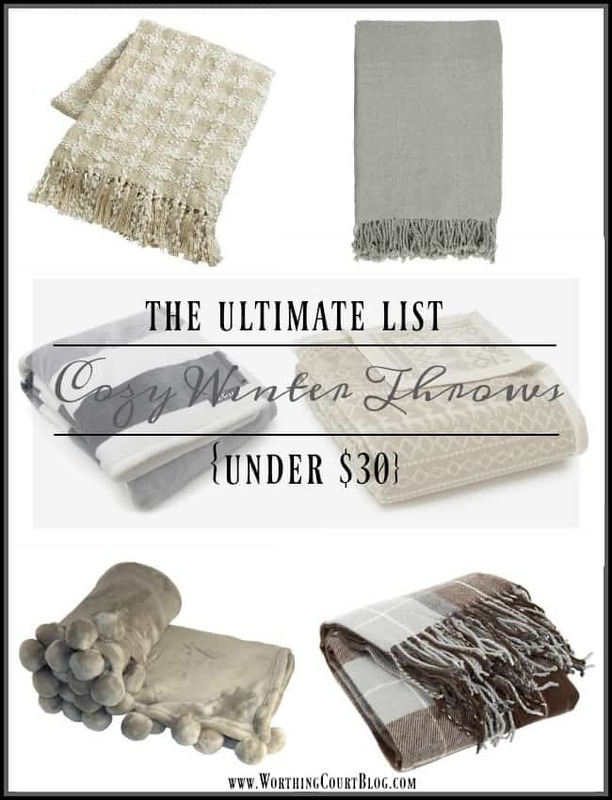 The formula for a cozy winter decor couldn’t be more opportune-i will be putting it into action immediately. Thank you! Eager to try homemade coffee creamers! Good Morning! Love starting off my day with your blog! I love the different shades of gray you have posted. Thanks for the chance to win! Love the farmhouse style! I so enjoy your home and the seasonal changes, whether perking up or paring down! I love your winter mantel. Very warm and cozy. Would love an architectural piece like that. Do you also have a secret?? Yvonne from Stone Gable and Anita from Cedar Hills have a secret that will be revealed sometime in January. I love your blogs and would love to travel with you. You visit unusual places. 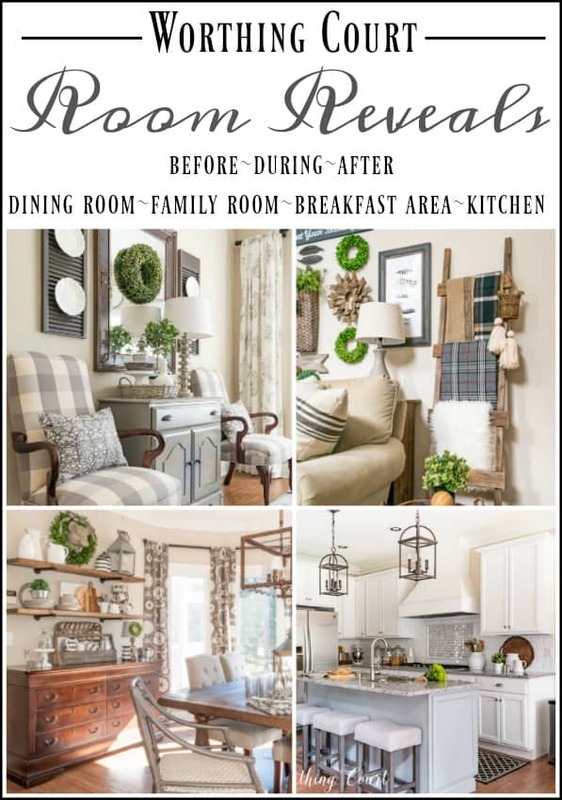 Suzy, I love seeing the transformation you have made to your home! Your ideas are inspiring!! Thanks for the lovely blog and beautiful pictures and ideas. I’m new to your site, but it was those plaid Christmas dishes that pulled me in. I’m looking forward to visiting often. Suzy, you give us such great ideas. I would love to win the gift card-spring is on the way-new dishes and decorations for the home. Love that ladder arrangement, oh the red velvet cake – oh yum! Always enjoy reading your posts. You are so talented! I always enjoy your posts. Very inspiring! Can’t wait to start my winter decorating! The wooden bowls you are using for after Christmas decorating bring in such a warm, soft look! Love them filled with the greens, snowflakes, and candles! New to your site love it! Love the beautiful post, I get lost in them! You never fail to inspire! I like the content of your blog but don’t like the fact that the initial view on email seems to be a giveaway. It makes me want to delete it as spam. Hi Kelly. I know what you mean, but not everyone reads every email, so I put that there to give everyone a chance to see that I have a giveaway going on. The money for the giveaway comes out of my own pocket and I SO appreciate everyone who reads my blog, I would hate for anyone to miss the opportunity to win. Hopefully, it isn’t too much trouble for you to just scroll right past those few lines of verbiage. Thank you for your understanding! Thanks for the giveaway! Really enjoy your blog. Love your decorating style. I’m excited to see what new ideas 2017 brings. Can’t wait to try the red velvet cake recipe. Enjoy your decorating expertise and your recipes! Thank you for the opportunity for another giveaway this month. Thanks for another giveaway!! Love reading your blog to get ideas!! I love all my bloggers. I met you through Yvonne with Stone Gable and have enjoyed each and everyone of you and your ideas. I would love to win the 100.00 gift certificate, but just getting to share things and ideas with all of you is my gift certificate. Can’t wait to see what all ya’ll come up with this New Year and I know that it will be great. I am crazy for your kitchen. It is sheer perfection! I like the way you decorate using neutral colors as your base. I have linked up to you through Yvonne’s site. She is fabulous and will forever be my FIRST blogger “love” but your site is beautiful too! You are all so talented in such individual ways. Well done! Love reading your blogs. Many, many good ideas. Thank you for the give-away! I love your blog and your inspiring ideas. I look forward to all your ideas. Copied your red velvet cake recipe. Can`t wait to try it! I anxiously await the next decorating project, you have great style and an eye for detail. Thank you for all of the inspirational ideas in 2016. Looking forward to 2017. The red velvet cake looks delicious. So love your blog. Love all your photos and ideas…and nice of you to put all of December in one post! Thank you for sharing so much with us! Simply love your blog….keep up the great work! The Red Velvet Cake is beautiful! Looks very southern! I love the mix of colors and crispness. Just found your blog and your style is exactly the look I’m trying to achieve in my home. Thank you! Love your style! Thanks for the opportunity to win! Love your ideas and designs. Keep them coming!! My house shall be your house!! ha ha!! Good ideas. Nice blog. Thanks for the giveaway. What a gorgeous red velvet cake! I didn’t make one this Christmas, but now I’m wishing I had. I just can’t gt over that beautiful Christmas tree with the gingham trim. It’s my favorite tree dver! Read lots of these already! Loved the Christmas kitchen post. I think it was my fave. I’m loving the blanket with pom-poms!! You always have such beautiful ideas! Thanks for sharing your creativity! your home is lovely and very inspiring! and even better….affordable! Love your style, love your home, love all of the inspiration you give to readers like me … and fellow decor enthusiast!! I enjoy the variety f topics shared on your blog. Thanks! I truly enjoy your site, so much beautiful inspiration! Thank you for constantly sharing such good insights, beauty, and bringing joy to the web world! I enjoy the variety that your blog contains. I look forward to see what you are featuring. Look forward to your blog daily! Love all of your ideas. You are the best. Thank you for all of the work with the other two, Yvonne and Soulful Home, for your huge secret tomorrow. Love your home…thanks for sharing! Looks like lots of us would really like to win that giveaway! Can’t wait to see what 2017 brings in new ideas! Thank you so much for a chance to win. I love all the inspiration I get from your posts!!! Thanks again!! I’m so glad I’ve found your blog! What an inspiration! Thanks so much for the reminder ! Love the recaps of past stories, as I found you fairly recently. Need to get caught up ! LOVE the Christmas decor! Love your ideas and blog! Thank you for the inspiration! I have searched for your blog for a couple of weeks now! I am wanting to paint a bookshelf and remembered that I had seen a beautiful shade of grey on someone’s blog but could not remember the name. I have subscribed now? I love love your home!!!!!!!! Loving all your great ideas!! Hope God’s blessing rain down on you in 2017. Thanks for all the wonderful ideas. Suzy, I really appreciate all the wonderful ideas you share d with us last year and the Valentine decorating this year. Looking forward to what is in store the rest of the year!! Thank you for your blog. Each time i see an email from you, it is like Christmas. I grab a cup of coffee or tea and sit down and enjoy. I love your decor! I am admitting to stealing some of your ideas!! Your home is so beautiful. I can only dream of having rooms like this. Still trying to learn how to decorate. I appreciate the inspiration you provide. Love, love, love your blog! Thank you for all the inspiration and sharing of your beautiful home. Had a pretty Christmas with you.